Fifty Fifty, based in Oregon, has created the best double wall, vacuum-insulated bottles and wine growlers. 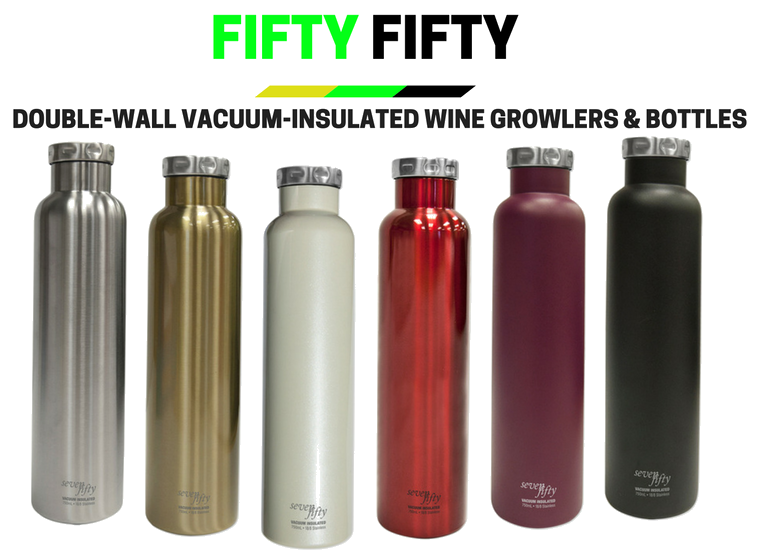 Made of 18/8 stainless steal, these bottles keep condensation at bay, all while keeping your favorite wine or mixed drink at the perfect temperature all day. 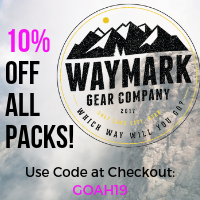 Whether you store the wine growler in your backpack while hiking or skiing, you can count on the this growler to accompany you on any outdoor adventure. 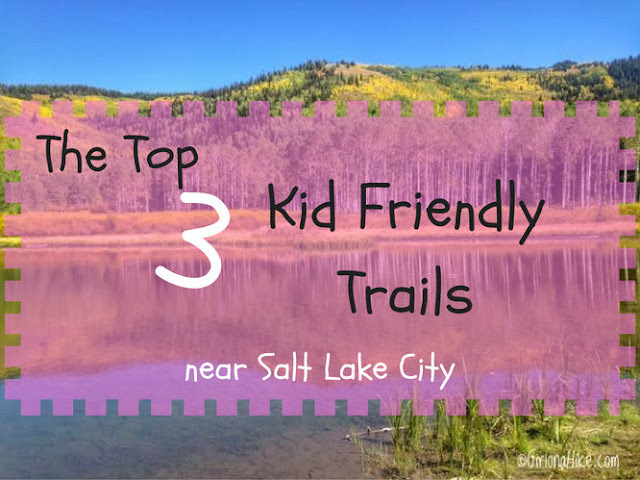 Looking for the top 3 Kid Friendly trails in Salt Lake City? Look no further. I've created this list for those wanting to take the kids out for a hike, but aren't ready for an all day adventure. 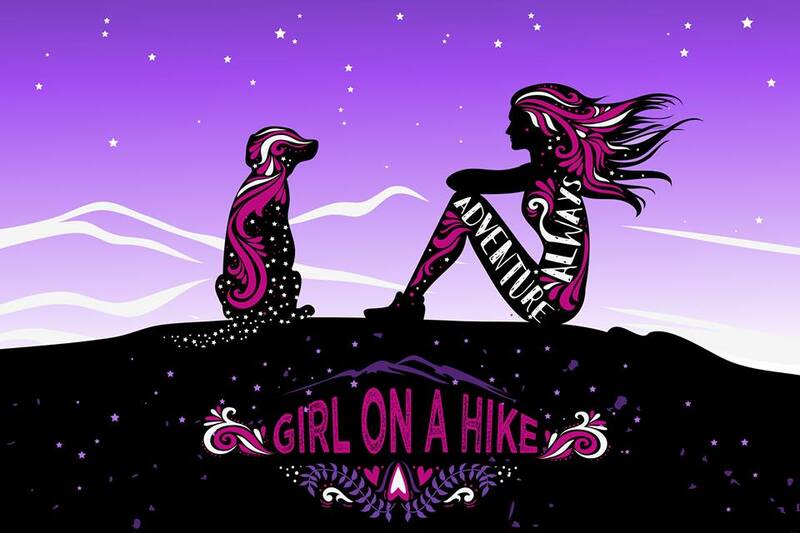 These 3 hikes range from 15 minutes to 2 hours, and can be safely hiked year round. No matter how long or short your hike, be prepared with at least one bottle of water per person, a small snack, and sun protection. For more tips when hiking with kids, read more of this post. Grab your hikin' boots, and let's hit the trails! Grandeur Peak (8,299 ft and pronounced like "grand-er") is the one of the high points in Millcreek Canyon, and offers fantastic views of the SLC Valley and into Parley's Canyon. 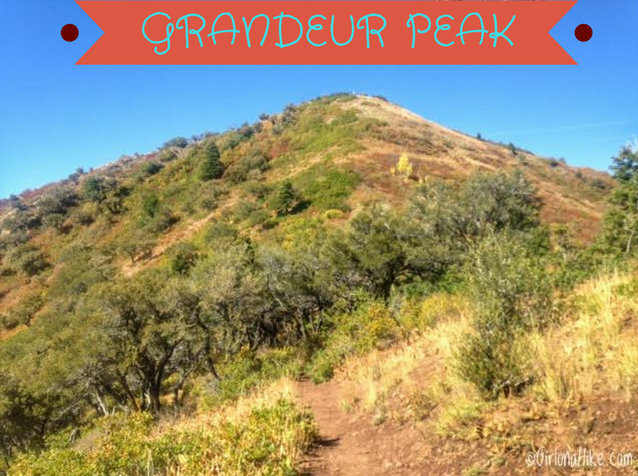 Grandeur Peak is also a perfect intro to Peak Bagging - the fairly short trail with a moderate elevation gain makes it one of the easier peaks to summit with little effort (compared to some of the other peaks in the area). 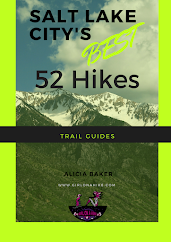 For beginner hikers, this may be considered a tough hike due to the same reason Peak Baggers consider it easy - it is only 6 miles round trip and gains 2,900 ft elevation. 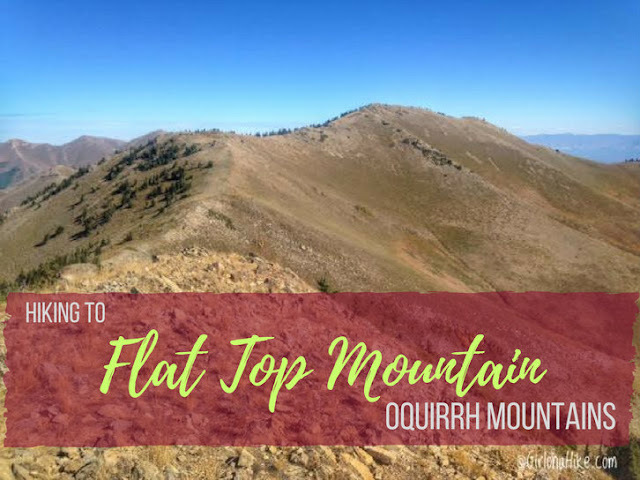 Flat Top Mountain (10,620 ft) is the highest peak in the Oquirrh Mountains (pronounced like "oaker") in Utah, which lies to the southwest of Salt Lake City. 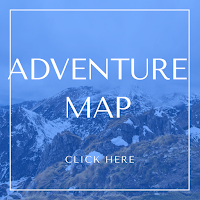 Most of the Oquirrhs are private property and mining land for the Rio Tinto Kennecott Mine, however the two areas you are allowed to hike are in Butterfield Canyon, and the Flat Top Mountain trail. Flat Top Mountain has a prominence of 5,370 ft, making it Utah's 6th highest prominent peak. 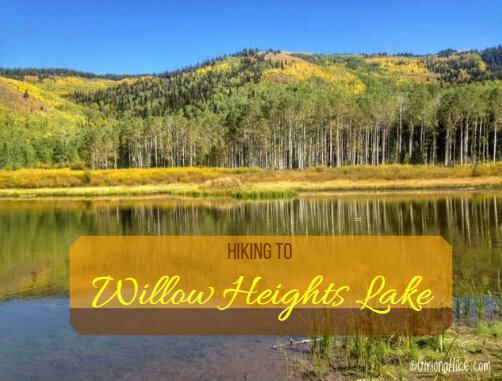 Willow Heights Lake is a popular destination year-round in Big Cottonwood Canyon for families looking for a short hike with the kids, for backcountry skiers in Winter, and for me, what I call a "bonus hike". A bonus hike is a super short hike that I will do after another longer hike in the area. In this case I just hiked the Mt. 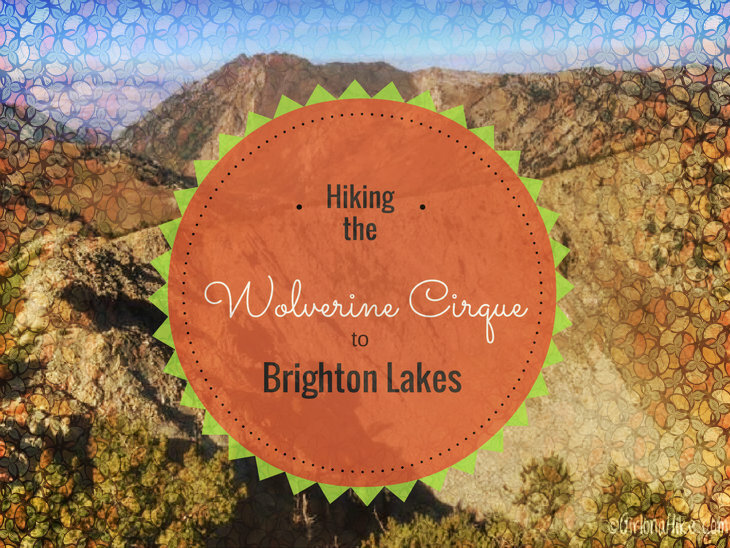 Wolverine Cirque to Brighton Lakes (8 miles), and wanted to see Willow Heights at the height of Fall. Mt. Wolverine & the Wolverine Cirque above Brighton Ski Resort is a very popular backcountry skiing destination during winter. But hiking this route in Summer, is just as fun and very scenic, and for Peak Baggers, you can knock out up to six peaks in one day. This can be done as a point-to-point hike, but to really see everything, turn it into a loop and take half a day to explore. 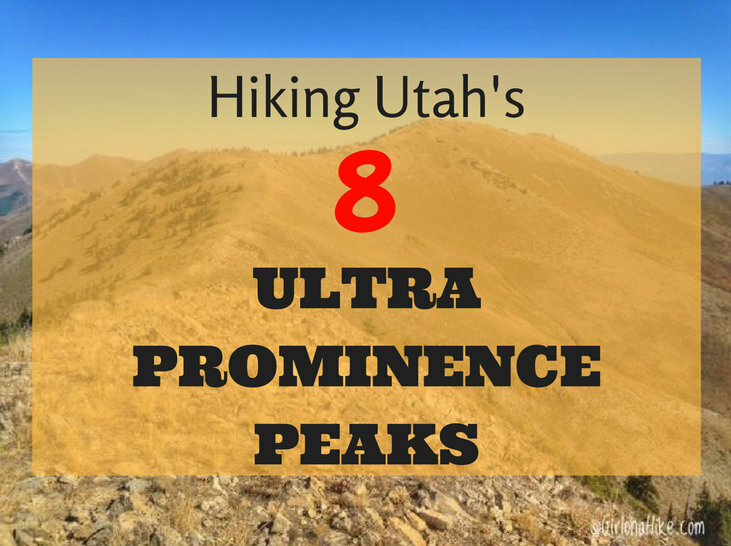 On this route, I was able to summit four peaks, pass four lakes, and see some of the Wasatch's best 360 degree views. 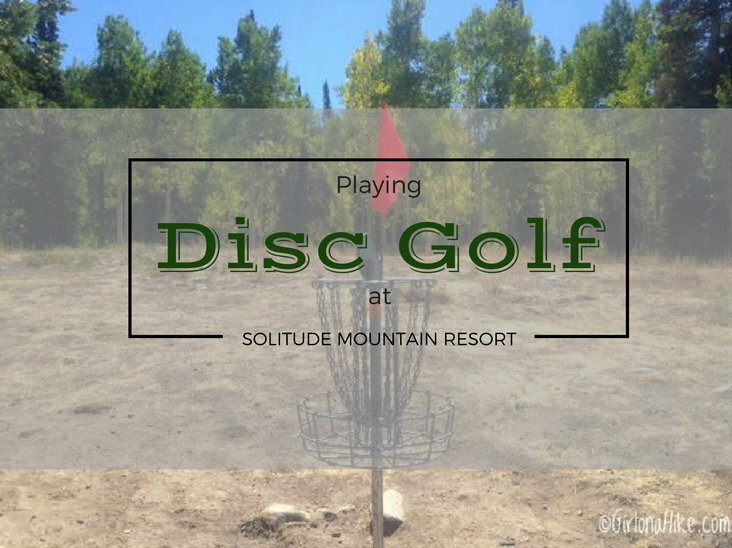 This weekend, I learned to play Disc Golf for the first time at Solitude Mountain Resort. Disc Golf, aka Frisbee Golf or FOLF, is much like traditional golf except instead of using clubs and a small ball, players use a disc or frisbee. Disc Golf shares the same object as regular golf, where the object of completing each hole is to get the disc in the target in the fewest throws or "stokes". The disc golf is thrown from a tee area to the target hole - an elevated metal basket. I decided to bring my friend (who also happens to be my boss at my regular job) along so I could have a "pro" show me how it was done and so I could learn the right way to play disc golf. Ever get sick of eating the same old granola bar or Cliff bar? 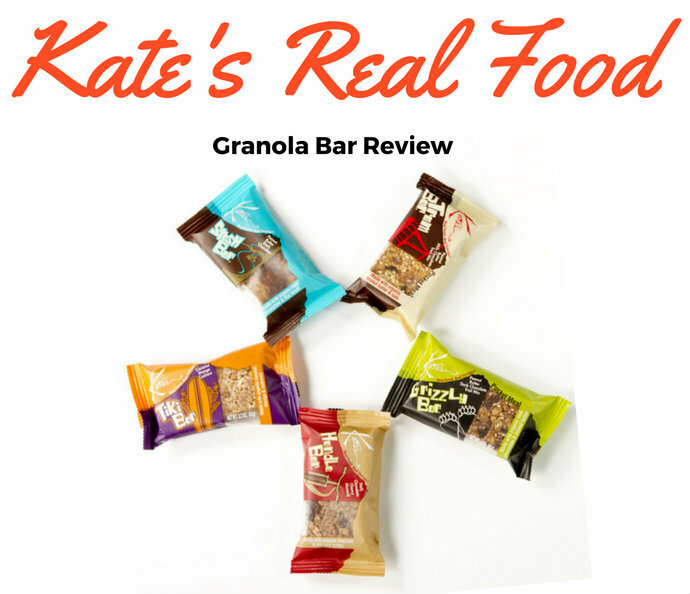 Introducing Kate's Real Food granola & snack bars! At Kate's, they don't skimp on using wholesome, real food - each bar contains a minimum of 85% organic ingredients. For a quick grab-and-go breakfast, or snack in the backcountry, Kate's Real Food is sure to satisfy the sweet and salty mix you crave. Soul Insole, an arch support and booster company, has created a revolutionary orthotic that fits for any activity - hiking, biking, dress shoes, dancing, skiing, rollerblading, or even for your favorite pair of flip flops or chacos. 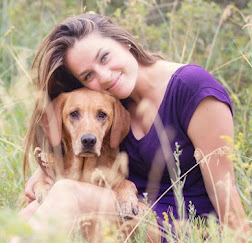 Ever dealt with Plantar Fasciitis? Knee issues? Stress on your hips? 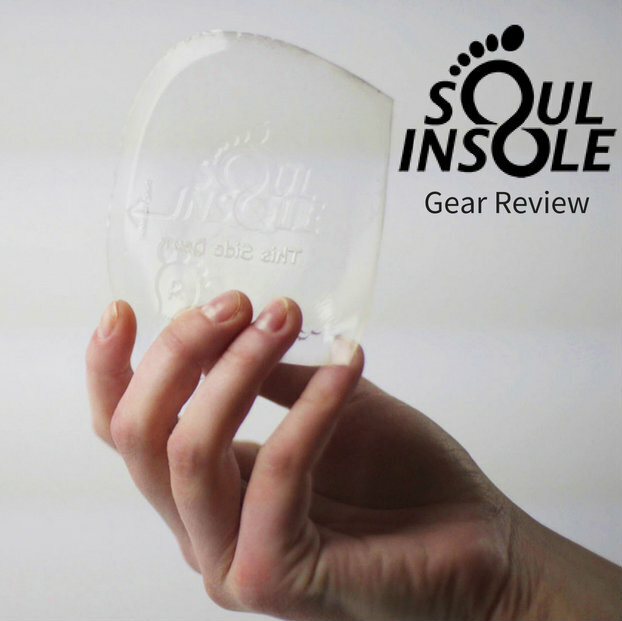 The Soul Insole Shoe Bubble may just be the sole solution you've been looking for. Thaynes Canyon Peak (8,656 ft) is a high point in Millcreek Canyon - not many people summit this peak, as it is not well known and fairly steep. The trail follows a south facing canyon the entire way, so it is very well shaded. 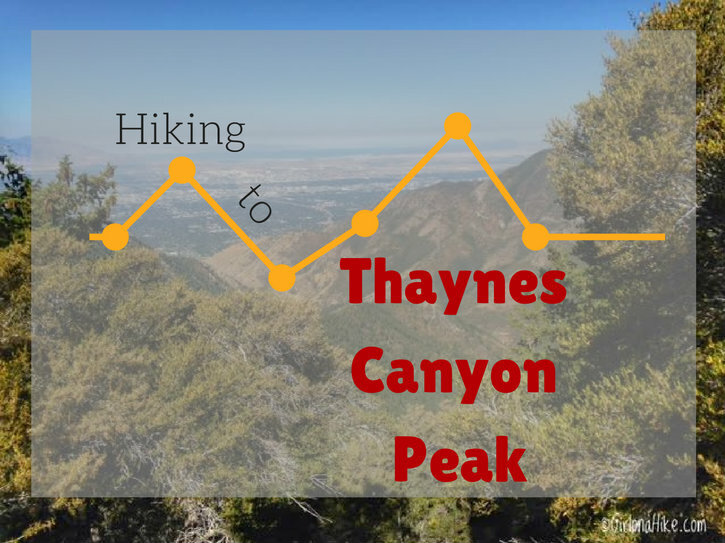 Thaynes Canyon Peak is also lower in elevation compared to some of the surrounding peaks such as Mt. Raymond & Gobblers Knob, therefore it is typically not high on a Peak Baggers "to do" list. However, don't let these things stop you from hiking the trail - the solitude and views you'll get on this peak are still worth at least one trip to the summit. 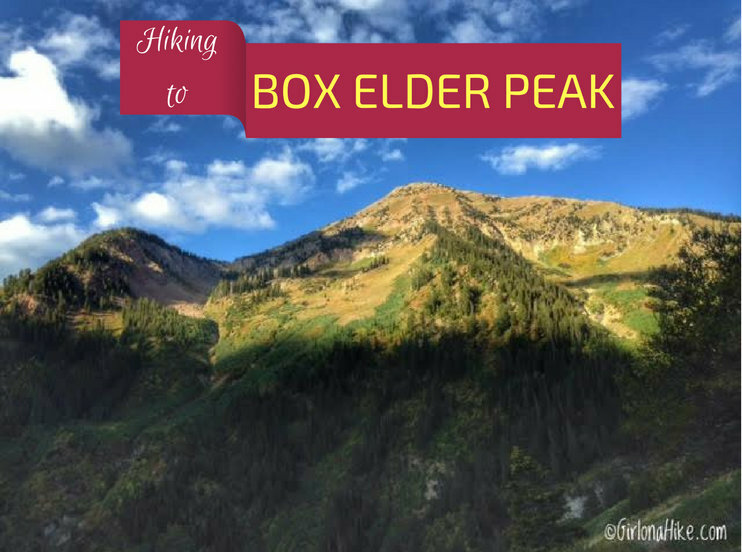 Box Elder Peak (11,101 ft) is the large, well known peak in between Mt. Timpanogos and Lone Peak - it dominates the ridgeline above, and to the North, of American Fork Canyon. Because the summit is over 11K, it is a popular hike among Peak Baggers. There are several routes to chose from, the most popular being the Dry Creek-Deer Creek Trail #043, which starts from the Granite Flats Campground just past Tibble Fork Reservoir.